Species-specific densities of saproxylic beetles in cut 4-m high, medium to large diameter stumps of spruce, birch, aspen and oak were monitored for 7 years after cutting, by trapping emerging insects within seasonally applied net enclosures. A total of 47,038 individuals, representing 316 saproxylic beetle species including 40 red-listed species, were recorded. Densities of 86 species were modelled in relation to stump diameter and measured levels of sun-exposure. Two thirds of the species favoured semi- or fully exposed substrates, while one third performed better in shade. Few species seemed to be specifically adapted to semi-exposed conditions. Diameter was generally of less importance than exposure, and similar numbers of species favoured medium and large diameter substrates. Group mean diameter and exposure calculated from means per individual and species were similar for groups of modelled and non-modelled species, and for groups of red-listed and non-red-listed species, respectively. This indicates that the proportions found in the models are representative for the diverse regional fauna of saproxylic beetles that utilise high stumps of spruce, birch, aspen and oak in early stages of decay. 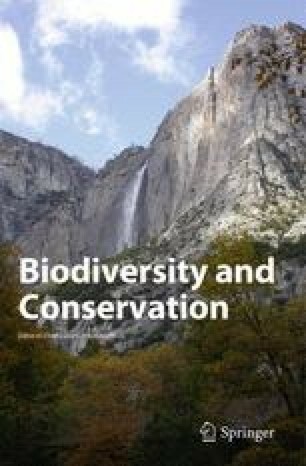 The results suggest that sun-exposed dead wood substrates generated and retained in managed forest landscapes are potentially important for many species. However, stands of unmanaged self-thinning successions of deciduous trees, as well as substantial areas of old-growth spruce-forests are also necessary to address the wide spectrum of saproxylic beetles.